The World Series of Poker continued to grow in 2001, and the number of participants in the main event jumped up to 613 entrants. Two preliminary events were added, as well: the $2,000 S.H.O.E. event (won by David “The Dragon” Pham) and the $1,000 seniors’ no-limit hold’em championship (won by Jay Heimowitz). 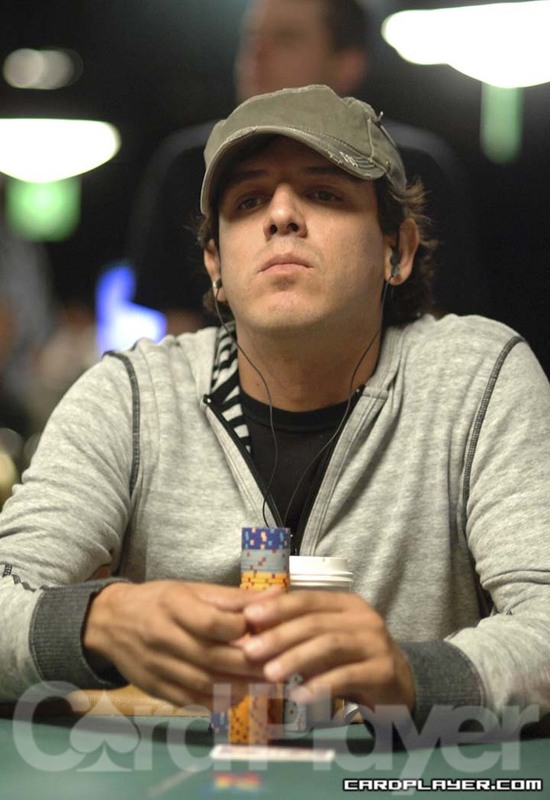 Other professionals who won bracelets that year included defending World Champion Chris Ferguson ($1,500 Omaha eight-or-better), Phil Hellmuth ($2,000 no-limit hold’em), Barry Shulman ($1,500 seven-card stud eight-or-better), Paul Darden ($2,500 seven-card stud), Burt Boutin ($2,000 pot-limit hold’em), Berry Johnston ($1,500 razz), Bob Slezak ($2,500 Omaha eight-or-better), Howard Lederer ($5,000 deuce-to-seven lowball), Steve Zolotow ($3,000 pot-limit hold’em), Allen Cunningham ($5,000 seven-card stud), Erik Seidel ($3,000 no-limit hold’em), and Scotty Nguyen, who took home two bracelets ($2,500 pot-limit Omaha and $5,000 Omaha eight-or-better). The large tournament field proved to be devastating for many of the savvy professionals and former world champions gunning for the final table. But a memorable cast of characters did manage to storm the final table in 2001. Hellmuth, Mike “The Mouth” Matusow, and Phil Gordon had been the main attraction in the main event for every railbird in attendance the day before. They talked up a storm as play got close to the final table, and all three of them were now at the final table, where they were joined by the seasoned veteran Dewey Tomko, as well as John Inashima, Steve Riehle, Henry Nowakowski, Stan Schrier, and Carlos "The Matador" Mortensen. The participants at the final table were a part of two firsts in 2001. For the first time, the tournament was five days long, and the entire final table of nine players would be filmed for television for the first time by the Discovery Channel, which had taken over filming the event that year from ESPN. Contrary to the year before, the first player did not fall for quite some time at the final table, as it took 60 hands before Mortensen snapped off a bluff by Inashima and busted him in ninth place. Riehle fell in eighth place shortly thereafter, and the final table was finally moving. 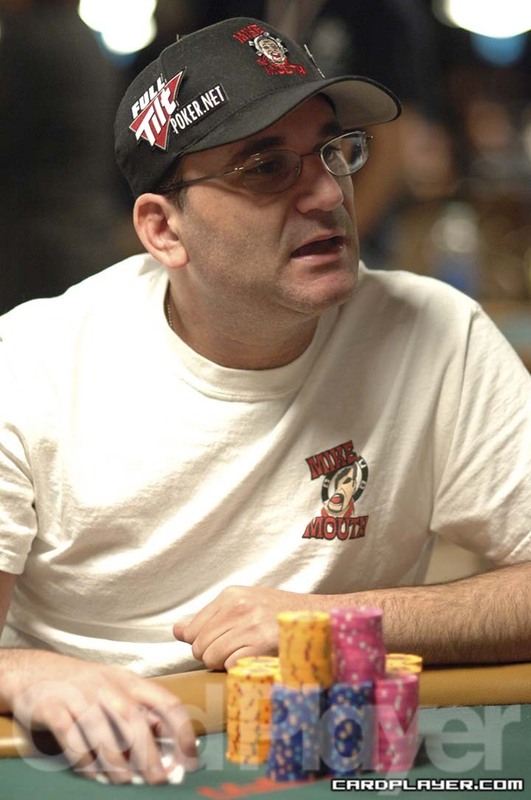 The second stage of the final table that year was defined by confrontations between the tables' largest personalities, Matusow and the two Phils, in particular. While these players took their shots at one another, Mortensen kept chipping up by taking down numerous small pots to build his riches. Nowakowski had come into the day with the chip lead, but Gordon knocked one of his legs out when he doubled up through him with nines up. Hellmuth finished the job two hands later when Nowakowski was all in with pocket sevens against the Poker Brat’s pocket jacks. Nowakowski was out in seventh, and the march to the champion continued. The battle for dominant Phil at the final table resumed when Hellmuth raised to 70,000 preflop and Gordon reraised all in. Hellmuth quickly called and turned over pocket nines. He had Gordon’s pocket sixes beat, until a third 6 was delivered on the flop. Gordon won the 1.2 million pot, while Hellmuth was crippled. He did not explode though, as many in the room were expecting, he just sat there and steamed in silence. While Gordon had just won a huge pot, he was by no means in charge of the final table. The title of table captain belonged to Mortensen, and he played the role to perfection. 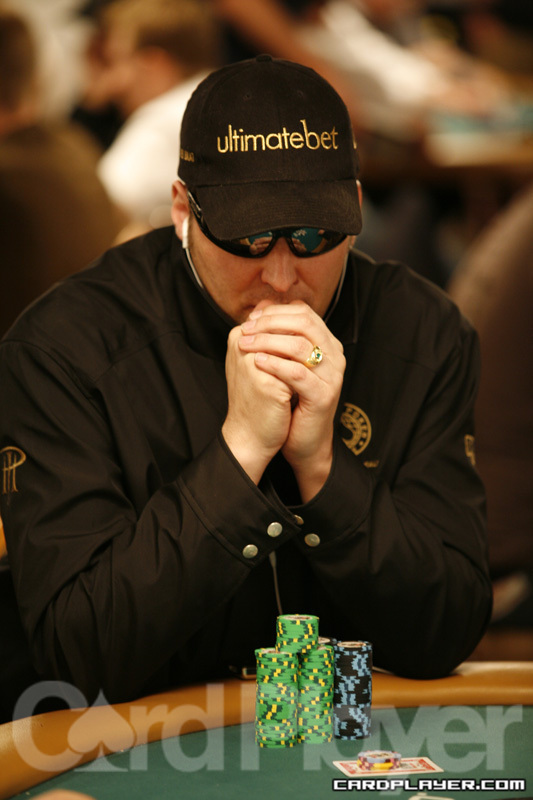 Matusow opened a pot for 60,000, and Mortensen reraised to 150,000 preflop. Matusow reraised to 350,000, and Mortensen moved all in. Matusow considered a call, but he eventually mucked his A-Q, and then Mortensen triumphantly turned over Q-8 for a bluff. The revelation threw Matusow into fits, and he was eliminated just 20 minutes later. Tomko made it 70,000 to go preflop, and Matusow reraised all in. Tomko made the call with pocket kings, which were more than enough to hold up against Matusow's pocket tens, and The Mouth was out in sixth place. The next major hand involved four players who saw an unraised flop of Q 9 4 . Mortensen and Schrier both checked, and then Hellmuth led out for 60,000. Gordon mucked, and Mortensen check-raised an additional 200,000. Schrier mucked after some momentary confusion, and action was back on Hellmuth. He moved all in, and Mortensen called him with Q-J, which narrowly defeated the Q-10 that Hellmuth held in the hole. The turn and river brought a jack and an ace, and Hellmuth stormed out of the room in fifth place. Gordon (fourth) was disposed of next by Mortensen with two queens, and Schrier fell after that (third) to the pocket kings of Tomko. Tomko once again found himself in a heads-up match for the world championship. The first time, he had run into the unstoppable, aggressive force that was named Jack Straus in 1982. In 2001, he had run into antoher unstoppable, aggressive force, this time named The Matador. Mortensen held 4 million when the match began, and he held a 2-1 chip advantage over his opponent. Tomko hung tough, though, to stay in the match, and 50 hands in he decided to take a stand. Mortensen raised to 100,000 preflop, and Tomko made the call. The flop was dealt J 10 3 , and Mortensen bet 100,000. Tomko raised to 400,000, and Mortensen moved all in. Tomko called and flipped up pocket aces, while Mortensen revealed K Q for both an open-end straight draw and a flush draw. The turn came 3 and missed Mortensen, but the river fell 9 to give Mortensen the straight and the world championship. Ryan Lucchesi, according to Mike Matusow's autobiography he had A2 suited that hand against Carlos not ace queen. Just seeing if you can make that correction. Thank you.